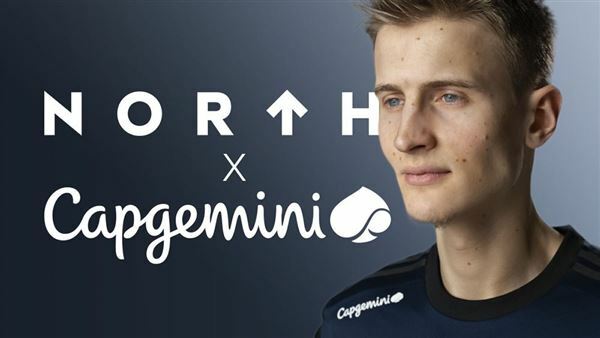 Danish esports organisation, North, has announced a partnership with Capgemini, a global leader in consulting, technology services and digital transformation. From today, the Capgemini logo will feature on the North team jersey throughout 2019 across all tournaments. North has already expanded into games such as FIFA by signing former two-time world champion, August “Agge” Rosenmeier. Most recently, they added an Apex Legends team featuring ex-Fnatic CS: GO academy star, Matej “MaTaFe” Fekonja. Speaking of the partnership, North CEO Christian Sørensen said: “We are happy to welcome Capgemini to the North family and thrilled to collaborate with a company that understands us and who is in the forefront of digital innovation. As well as the jersey deal, Capgemini will spearhead several initiatives and events for employees and partners to promote esports and attract future employees. Anil Agarwal, President of Capgemini Scandinavia Business Unit, revealed: ”We have had several talks with North and realised that the two companies share the same values. We look beyond traditional partnerships and towards something that reflects our boldness and innovative approach. Esports Insider says: With Capgemini seemingly getting what North stand for, it looks like a very good deal for both sides. Add to that the fact that North is competing across a large range of games now should put plenty of eyes on the new sponsor.